The 18th Annual Mickey’s Camp For Men! Mickey’s Camp was the long-time dream of local businessman Mickey Maurer. In 2001, this dream came true with the inaugural Mickey’s Camp. In the past seventeen years, Mickey’s Camp has enabled adults to leave behind daily pressures, explore new opportunities, perfect old skills and enjoy the camaraderie of fellow campers in a relaxed, informal atmosphere. Last year more than 120 men attended the 17th annual men’s camp. The women’s and men’s camps combined to raise more than $150,000 for over 80 local charities. This year we are proud to present an extraordinary array of experts for Mickey’s Camp, scheduled for August 15-17, at Bradford Woods Outdoor Center. Your time will be filled with exciting 90-minute sessions throughout Wednesday, Thursday and Friday. Options include gourmet cooking, robotics, painting, fantasy football, FBI, a day on the lake and so much more. You may also relax around the pool, have a massage or read a good book. Evening activities promise to be equally enjoyable as you will have the opportunity to engage in dialogue with IU Coach Archie Miller, dine on delicious cuisine, play in a poker or euchre tournament, eat s’mores around the campfire or turn the lights out early and rest up for another exciting day at camp. This year, sponsored meals include: Amore Pizzeria Ristorante, Prime 47, The District Tap, Nameless Catering and Sullivan’s Steakhouse. Read on to learn about what’s in store for you at Mickey’s Camp. Sign up soon; reservations will be held on a first come, first served basis. 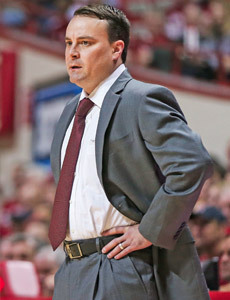 Archie Miller was named the 29th head coach of the Indiana Men’s Basketball program on March 25, 2017, by Indiana University Vice President and Director of Athletics Fred Glass. He won his 150th game as a head coach, January 14, 2018 when the Hoosiers beat Northwestern, 66-46. Miller saw the Hoosiers improve dramatically during the season. After seeing IU allow 76 points per game on 45.9% shooting and 41.7% accuracy from three-point range in the month of November, IU has limited teams to 65.4 points on 41.3% shooting from the floor and 33.1% from long distance in the month of February. 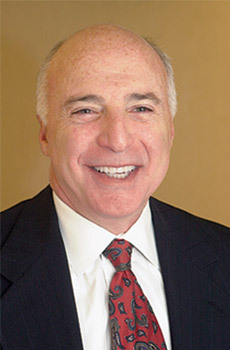 Regarded as one of the top young coaches in the country, Miller is a tireless recruiter, noted developer of talent, and a gifted tactician whose teams are known for their stout defense and efficient offense. His 2018 recruiting class at IU is currently ranked 15th in the nation. The 39-year old native of Beaver Falls, Pennsylvania, comes to IU after serving the previous six seasons as head coach at the University of Dayton, where he won Atlantic 10 Conference regular season championships in 2016 and 2017. Amore Pizzeria Ristorante is an authentic family owned New York style pizzeria serving top quality handmade family recipes since 2003. Started by two brothers, Chris and Dan Simone, Amore brought a little slice of their Italian upbringing in New York to Indiana. Since then they have been sharing their family recipes with the people of Zionsville and beyond. Let The District Tap help transform your next meeting or celebration into a truly special event. They have 60 beers on tap and three private event spaces onsite to accommodate a wide range of needs and a Game Room that is perfect for smaller gatherings that includes darts and shuffleboard tables. The Craft Cellar is ideal for up to 60 guests (seated) and comes with 5 TVs and full AV capability. For even larger events they have The Rickhouse, an 1,800-square-foot private room with a full bar, private patio that can accommodate up to 150 guests. If you booked your event space elsewhere, The District Tap will bring their signature Damn Good Food to you. Nameless Catering is locally owned by a pair of entrepreneurs born and raised in Indiana. People that work with Nameless enjoy the quick and easy ordering process, great food, and reasonable pricing. Nameless has catered thousands of events from 10 person meetings to 5,000 person retreats across the states of Indiana and Ohio. Prime 47 – Indy’s Steakhouse is downtown’s only locally owned USDA Prime Steakhouse. Not only does Prime 47 serve fantastic steaks, but the atmosphere, extensive menu & personalized service ensure that every guest is treated to the Prime Experience. Set in the Majestic Building on the corner of Pennsylvania and Maryland, Prime 47 is a site to behold. With the original tile flooring, marble columns, and 18 foot windows, Prime 47 – Indy’s Steakhouse is the place to see and be seen. Sullivan’s Steakhouse offers an experience unlike any other American steakhouse. From the moment you walk through their door, you will get a feeling that this will be an evening to forget your cares and rekindle romance. Slip into an intimate booth and treat yourself to hand-cut steaks, fresh seafood, signature cocktails and swinging live music. If you are looking to flirt with some new flavors, Sullivan’s will be your sure thing. Sullivan’s proudly serves a well-rounded selection of wine and spirits. Our extensive wine list is a recipient of Wine Spectator’s “Award of Excellence” and offers an array of selections from around the world for everyone from the novice to the wine connoisseur. Whether out for business or a personal night with your loved one, it is always our pleasure to be your favorite local steakhouse. Turn Down Chocolates – Just Pop In!